The Toronto Maple Leafs showed interest in Detroit Red Wings forward Luke Glendening last season, but ended up adding Tomas Plekanec at the deadline instead. That interest hasn’t waned according to Frank Seravalli of TSN, who reports that the Maple Leafs have “kicked the tires” on Glendening again. Seravalli suggests a deal would need the Red Wings to retain salary on the fourth-line center, who carries a cap hit of $1.8MM in each of the next two seasons. The 29-year old Glendening is an excellent faceoff man and penalty killer, and is actually having the best offensive season of his career. Receiving more minutes than ever before, Glendening has 18 points in 54 minutes, on pace to easily cruise by his career-high of 21. That has also come with a surprisingly good +9 rating, despite still seeing heavy defensive zone deployment and losing the possession battle badly. Toronto currently employs a pair of natural centers on the fourth line, with Frederik Gauthier usually playing in the middle with Par Lindholm on his wing. One of those two would likely be taken out of the lineup in favor of Glendening, a favorite of Mike Babcock since his days with the Red Wings. 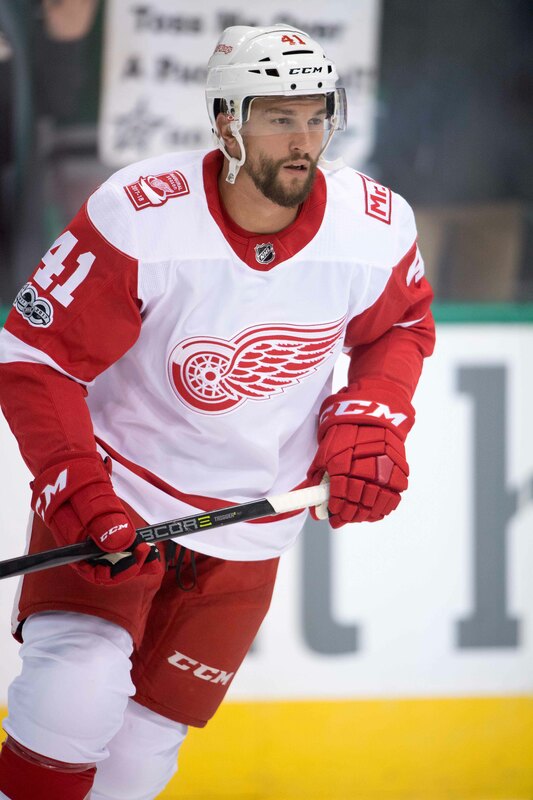 There’s no guarantee that Glendening would actually have a bigger impact than either of those two on the ice, though his leadership and work ethic has long been admired around the league. The question them comes down to price, and Seravalli suggests that it would start with a second-round pick given the recent Brian Boyle trade. The Maple Leafs have already sent their first-round selection to Los Angeles for Jake Muzzin, and are also short a sixth-round pick in this year’s draft. Toronto obviously believes this is a year they can compete for the Stanley Cup, but have to be careful about sending away too many draft picks before they’ve even won a playoff round. Still, if Detroit is willing to retain salary on Glendening he could give the team a little more cost certainty on the fourth line for the next few years when cash will be tight. Babcock always lIked him . If it means helping Babcock I would a second round pick and prospect. As for retaining salary forget it take it they can pay Marner less. didnt they just trade their 1st round pick for Muzzin? Why 2021 and not 2020? This year’s first round pick has already been traded by Toronto. A second round pick is the highest they have. If Toronto is willing to add an additional player with the pick, Detroit should go for it. I would trade Lindholm and a 3rd/4th round draft pick for Glendenning and $500/yr. in salary retention. No 4th line player is worth a 2nd rounder.